Interested in buying 10+ cases? Please contact us directly! We can offer even larger wholesale discounts! 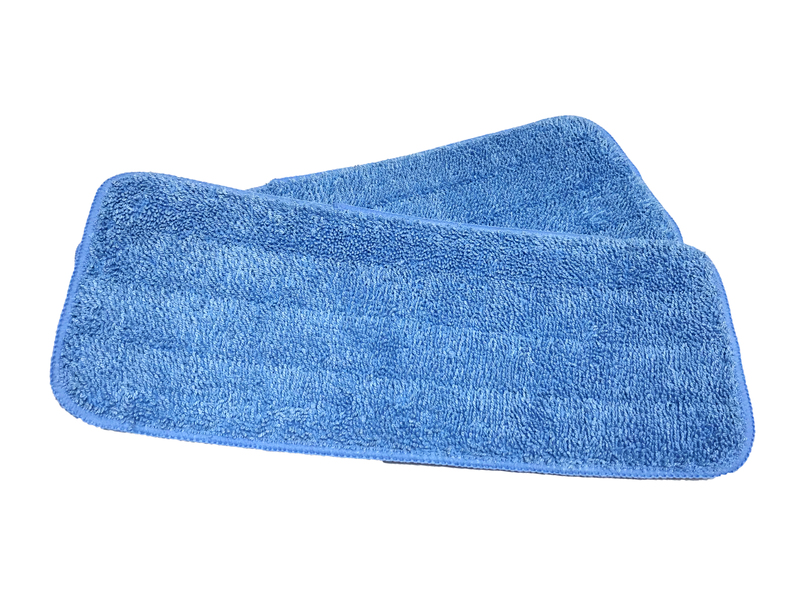 Collect dust and dirt easily with this microfiber flat mop pad. It removes debris better than conventional mop cleaning methods. 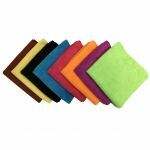 This mop pad can also be laundered hundreds of times. Use the flat mop on any hard surface floors free of streaks. Thanks to its flat shape, this mop dries very quickly for better absorbency performance. These flat mop pads are the ideal choice for waxing floors. Its rectangular shape allows it to work right up against baseboards. Provides optimal wet mopping performance suitable for most cleaning situations. Smaller 12" head perfect for hotels or smaller bathrooms! 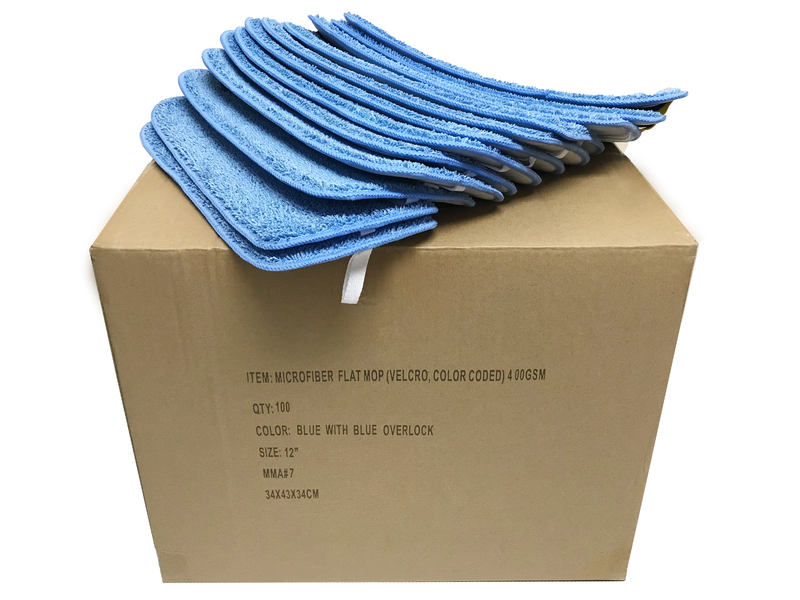 The color-coded flags allow you to color code the mops to prevent cross contamination! Industrial grade velcro holds very securely in place and is built to last!